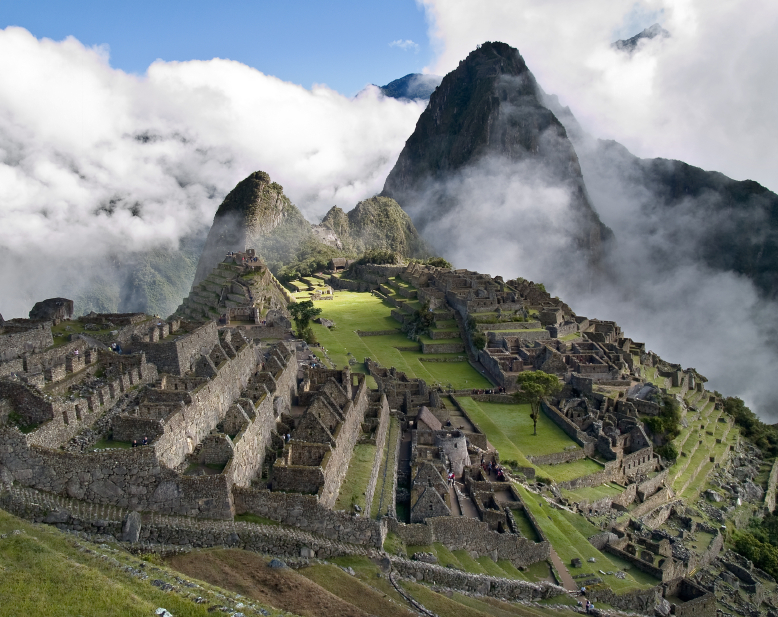 A virtual tour and travel guide of Machu Picchu and the Inca Trail in Peru. Travel resources for the traveler. 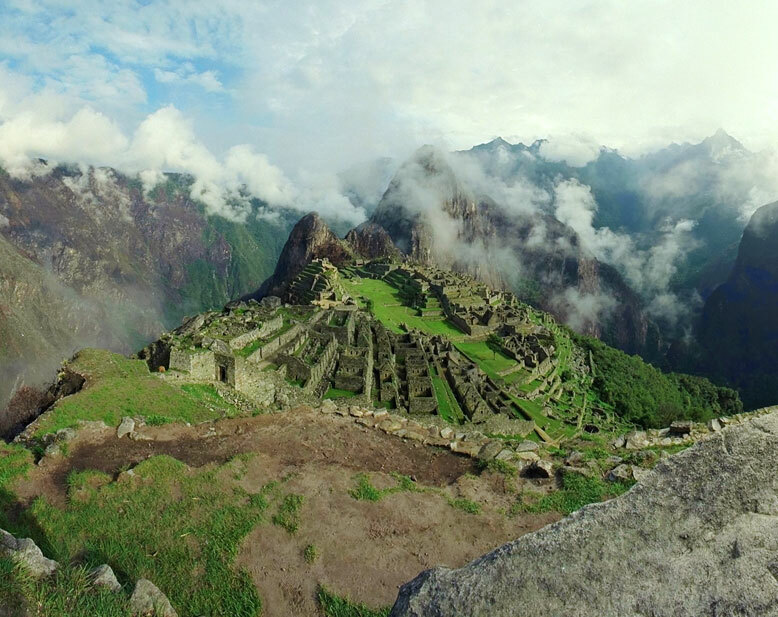 Welcome to the mysterious ruins of Machu Picchu, Peru. Prepare yourself as you are about to embark on a virtual tour exploring one of the most intriguing destinations on the planet. Don’t worry ... you won’t need heavy hiking gear or an experienced guide to tour the spectacular views and scenery the magnificent complex has to offer. The new Seven Wonders are in. Visit the links below to take virtual tours or view still images of the new 7 wonders of the world. 7,000 feet above sea level and nestled on a small hilltop between the Andean Mountain Range, the majestic city soars above the Urabamba Valley below. The Incan built structure has been deemed the “Lost Cities”, unknown until its relatively recent discovery in 1911. Archaeologists estimate that approximately 1200 people could have lived in the area, though many theorize it was most likely a retreat for Incan rulers. Due to it’s isolation from the rest of Peru, living in the area full time would require traveling great distances just to reach the nearest village. Separated into three areas - agricultural, urban, and religious - the structures are arranged so that the function of the buildings matches the form of their surroundings. The agricultural terracing and aqueducts take advantage of the natural slopes; the lower areas contain buildings occupied by farmers and teachers, and the most important religious areas are located at the crest of the hill, overlooking the lush Urubamba Valley thousands of feet below.